You'd think the determining factor of "good design" would be, y'know, the quality of the design. Right? Right? Wrong. The true measure of a successfully designed website is the response from your customers, not your peers or website design critics. The ultimate goal of your website is to attract customers and make sales, not look pretty. Right? Right. DESPITE THAT, although aesthetics are not the be-all end-all of website design, you will certainly drive customers away with a site that looks like it hit every branch on its way down from the ugly tree. When asked to describe why they mistrusted a website, 94 percent of comments were directly related to web design elements, while only 6 percent referenced specific content. So your website should be average looking at the very least, even if it won't be winning beauty pagents any time soon. What constitutes a great site design for your customers? 1. Everything should be easy to find. Buttons, logins, subscription forms, content, etc. should all be where you think they'd be. 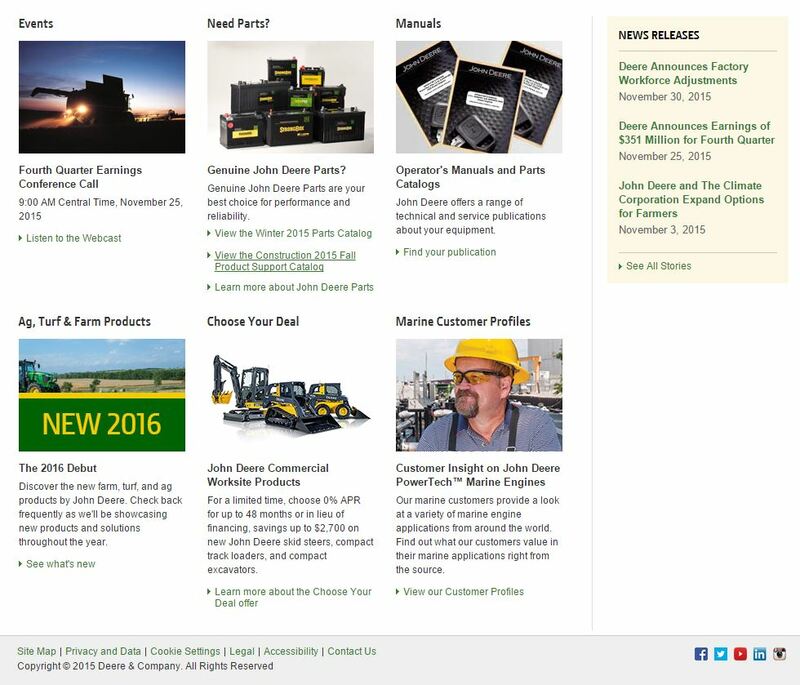 John Deere's homepage is very easy to navigate. The links, images, CTAs, and info are all where you think they'd be. That makes it easy for visitors to immediately find what they're looking for, meaning they're less likely to bounce off the page. If you're a manufacturer, especially a small one, your job is not to become a trailblazer on the website design scene. Give your customers what they expect to find in a manufacturing website. "New and exciting" designs will only be stressful and confusing for your customers. Simple, cozy, and easy. The main nav is still accessible at the top left, and the search button is where you expect it to be in the top right. 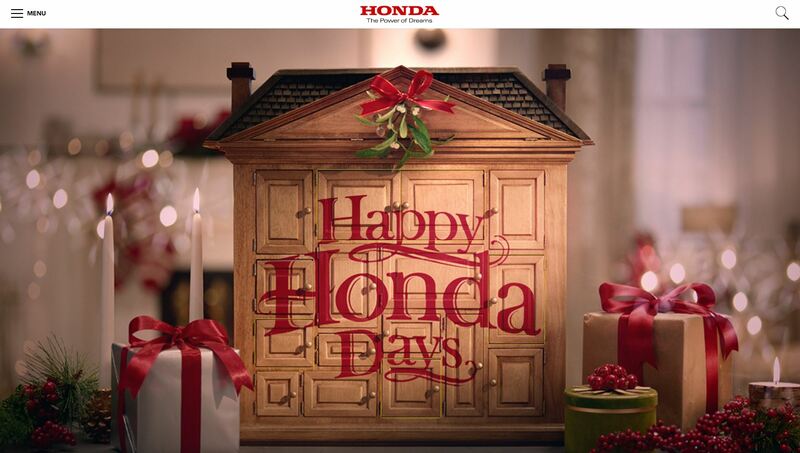 Scrolling past the holiday banner gives access to more info and clickables. A little goes a long way when it comes to website design. 2. You should have all of these website necessities. These elements cover content, code, SEO must-haves, and more. They'll make your site easy to use and easy to find. If you don't have them, your website isn't performing effectively. And there are plenty more to think about. All of these elements are necessary for Google AND your customers to properly absorb your site. 3. "F" layout makes our eyeballs happy. Many, many studies have been conducted on how we take in online information. We all seem to follow a particular "F"-shaped reading pattern. The red and yellow sections show where our eyes focus and linger. Seems pretty simple, right? You'd be surprised (or not) how many websites fail to take this into account in their designs. Your most important information should follow this "F" pattern. This will allow visitors to quickly determine whether your business is the right one for them, and then self-select in or out of your customer pool. You take a quick glance at this site and know a.) 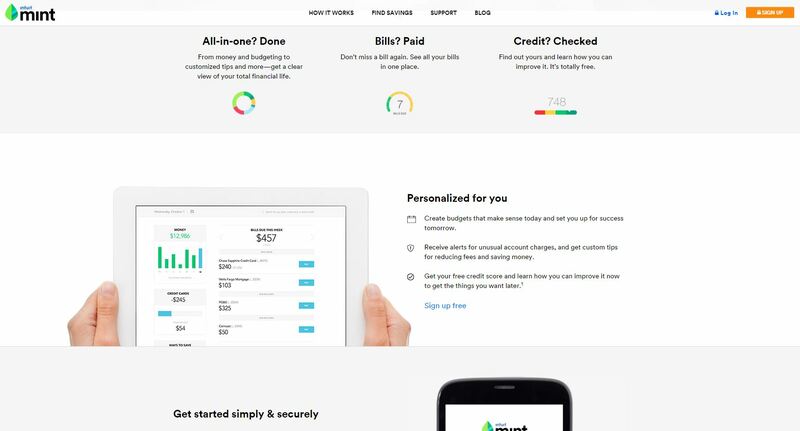 this service can help you manage your money, and b.) they want you to sign up for free. Quick, simple, done. No time wasted. 5. Communicate quickly and simply. Your visual design isn't the only thing that should be simple. Your homepage shouldn't have paragraphs upon paragraphs describing your business. Save that for your subpages. 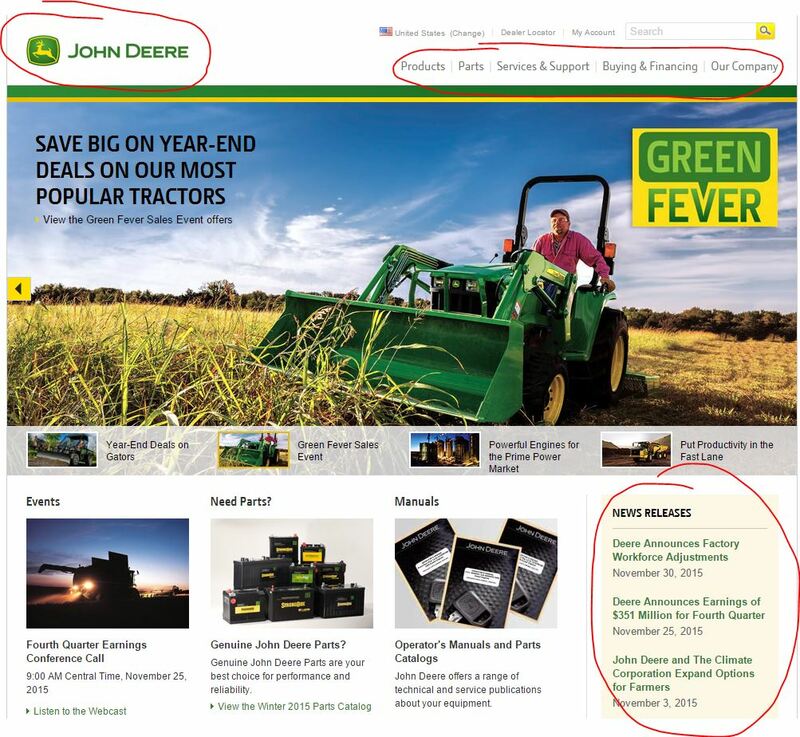 All of the homepage examples we've shown (John Deere, Honda, Mint.com) have meaning conveyed in just a few short phrases. That doesn't mean you should cut content just for simplicity's sake - actually, the more content you have, the more likely your visitors will convert. Marketing guru Neil Patel did a quick experiment with the amount of text on his own homepage. He found that having 1,300 words on the page converted 7.6% better than 500 words. That might seem like conflicting advice: don't have a lot of words on the page, but have a lot of words on the page? Huh? What we're trying to say is use just a few phrases in your "F" layout section to convey meaning quickly. Then, fill in the gaps with high-quality, valuable content. Below all the gigantic, simple headlines on each of those websites is a fertile valley of great content. More detailed descriptions, specs, capabilities, and a nice little navigation menu that follows you down the page. You shouldn't lack content on your website, but the most relevant information should be scannable - this allows your visitors to decide whether they're interested very quickly, and then delve into the meatier content if they choose to. Content should not be something you force on your visitors. It should be valuable, but optional. Ultimately, the buyers who end up in your customer base have chosen to be there. Your content should simply give them all the information they need to make that choice. Does your website have what it takes to be called "well-designed"? If not, try working on these things before you do anything drastic. Some of our clients desperately need a full website overhaul, but others just need to simplify and relocate the stuff they already have. What do you offer, and what should your visitors do? If you're still having troubles after making these changes, then you might want to look at a site redesign. Until then, don't give up hope!